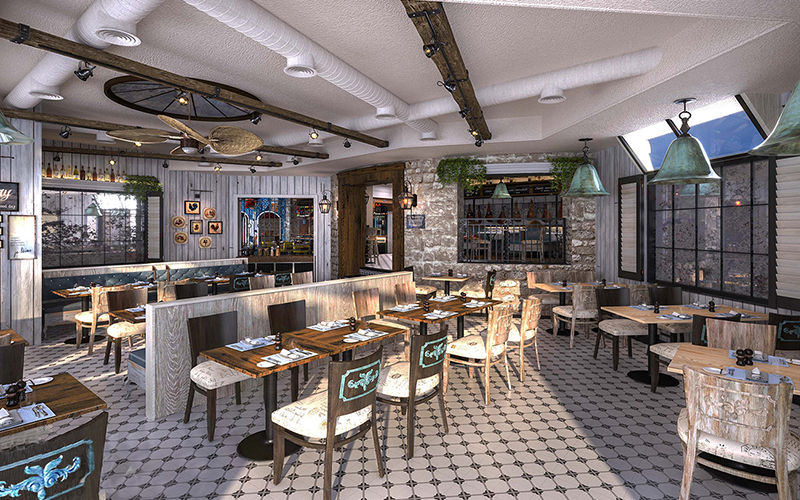 Located in the heart of Le Méridien Dubai Village at Le Méridien Dubai Hotel & Conference Centre, Beef Bistro has officially opened it’s beautifully re-vamped and re-branded doors. Previously known as M’s Grill, Beef Bistro is a carnivore’s dream dining destination, showcasing premium meats from around the world like Japan, Australia, Argentina, New Zealand and the US. 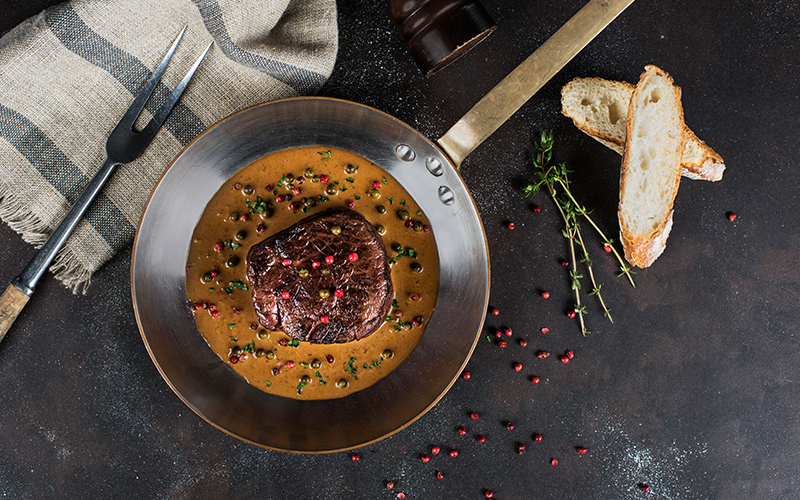 Drawing from traditions rooted in the Le Méridien brand, Beef Bistro honours France’s culinary culture and draws inspiration from authentic French bistros. Inside, the new interiors are bright, warm and welcoming with light blue and soft yellow accents, paired with white-washed woods and stone walls. While the tables are simply yet tastefully decorated with simply lavender floral arrangements, ensuring understated charm. Beef Bistro also offers terrace seating for those who wish to enjoy lunch or dinner outdoors. If you were a fan of M’s Grill, you’ll be pleased to hear that the menu still features some of the most loved dishes from over the years, mixed with a brilliant selection of new options. To start, we shared a couple of starters – one of which really stood out for me, the warm goat’s cheese salad. Unlike traditional goat’s cheese salads, this one was prepared as a tart with beautiful thin, flaky pastry filled with melting goat’s cheese infused with bitter orange zest, accompanied by marmalade on a bed of mesclun. The cheese and orange combination worked fantastically and overall the dish was a delight to eat. 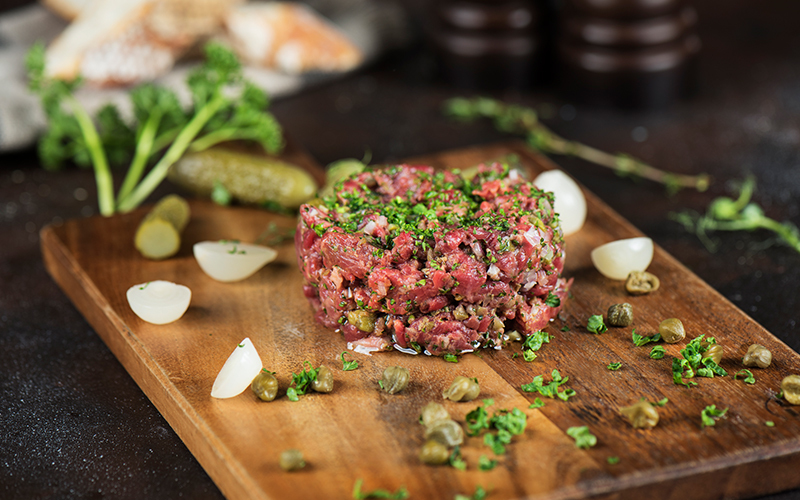 For tableside interaction, don’t miss the traditional beef tartar which is prepared with tenderloin, capers, gherkins, shallots, egg yolk, mustard, ketchup, and horseradish cream at the table and tailored to your taste. Also on the starters menu, were highlights of homemade foie gras terrine served with tomato jam and crostini, plus the thinly-sliced beef carpaccio with raw mushrooms, Rocca leaves and delicate balsamic dressing and parmesan shavings. Naturally, we chose to indulge with a steak of our liking for mains (I chose the Australian wagyu tenderloin), which were all prepared on the Josper charcoal grill that gave the meat a beautifully smoked flavour and fantastic seal. Steaks at Beef Bistro come with the choice of two sides and a sauce. Apart from tenderloin, the menu boasts such a generous selection of meats to choose from – over 500kg of assorted meats to be exact –including rib eye, striploin, chateaubriand, T-bone and others. There’s also an in-house ageing room, where meats are kept and cured in various ways to enhance and deepen the flavour. If you have room for dessert, the cheesecake is absolutely delicious and is kept light through the use of sour cream – believe it or not, it’s really yummy. Also on the menu is classic mille-feuille, rum baba, vanilla crème brulee and more. The team at Beef Bistro and very welcoming and attentive, ensuring a smooth and enjoyable experience is had by all. The food at Beef Bistro is hearty, flavoursome and excellent value for money. It’s the person place to enjoy a romantic meal with your other half, or an intimate gathering with friends or family over fantastic food. This Valentine’s Day, the culinary team have prepared a special three-course menu featuring foie gras with fig and farmers bread to start, wagyu beef chateaubriand with dauphinoise potato and spring baby vegetables for main, and vanilla mousse with calvados apple compote caramel and almond biscuits or chocolate cremeux crunchy hazelnut vanilla chantilly and chocolate baritone for dessert. Want to go? For more information or to make a reservation, call +97147022455 or e-mail restaurants.lmd@lemeridien.com.